Forget the Apple AirPods, these are 2019's must-buy true wireless earbuds. The true wireless category has exploded in the two years since Apple announced its "courageous" decision to kill off the headphone jack, and each year we keep track of all the new true wireless earbuds that hit stores in order to determine what brands are going to offer you the best experience and the best value. Our review of the Sennheiser Momentum TW is currently a work-in-progress but - sneak peek - we're really impressed with them so far. 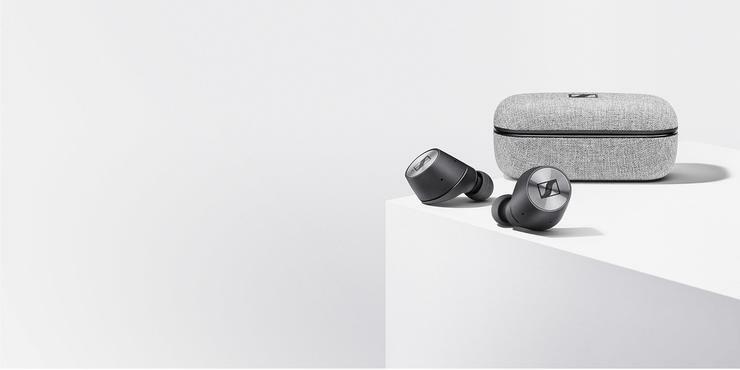 The sound quality is really clean, the built-quality and material design is top-notch and we've yet to encounter a single dropout or connectivity issue - an impressive feat for the brand's first entry in the true wireless niche. Look forward to our full review sometime in the near future. The Sennheiser Momentum TW offer up a humble (though not insignificant) IPX4-rating for splash-resistance. Do they integrate with an app? The Sennheiser Momentum TW earbuds are granted extra functionality via Sennheiser's own Smart Connect app. Once setup, you're able to customize the control scheme for the earbuds, adjust the sound signature using an equaliser and toggle the ambient sound filtering. Do they work with voice assistants? The Sennheiser Momentum TW true wireless earbuds matches most of the competition when it comes to smarts, offering clean compatible with voice assistants like Siri and the Google Assistant. In Australia, the Sennheiser Momentum TW are pretty much the most expensive true wireless earbuds you can buy right now, with a recommended retail price of $499. The Sennheiser Momentum TW are available through Sennheiser, Harvey Norman, JB Hi-Fi and specialist dealers.